How to regain lost ranges of motion and fight tension with tension by combining stretching with isometric contractions with a technique called progressive and regressive angular isometric loading (PAILS + RAILS). Remember, flexibility is passive, whereas mobility is active. Mobility speaks the language of cells (force) to communicate with both the connective tissue and the nervous system. This means you not only gain new ranges of motions, but also have the ability to utilize and control them. 1. Override or bypass the stretch reflex to go deeper into a stretch. As you relax, ACTIVELY increase stretch depth/intensity. Hold newly acquired position for as long as possible. 1. 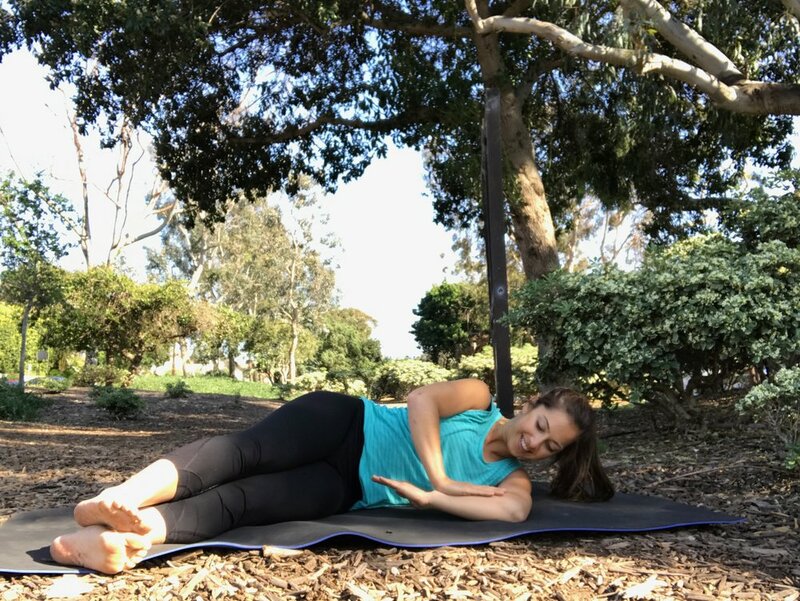 Set up the stretch as pictured above aiming to pull your belly button towards the knee to find a deep stretch within the hip. 2. Follow the procedure above as you press your knee down into the ground. 3. When you reduce tension, do not come up. Stay in the pose and go deeper. Then, repeat. 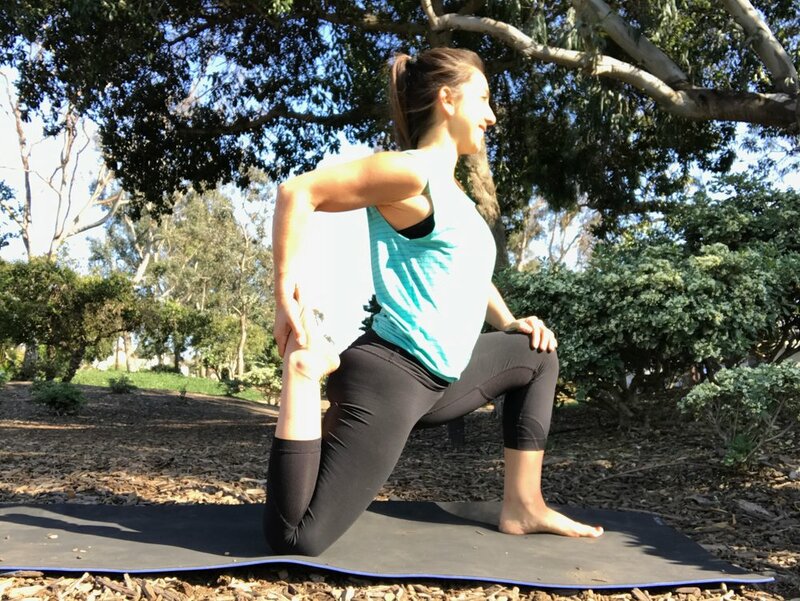 Press both knees into the ground while keeping your hips rooted. Focus on driving the trail leg down toward the ground as you follow the procedure listed above. 1. Assume a low lunge keeping the pelvis aligned. 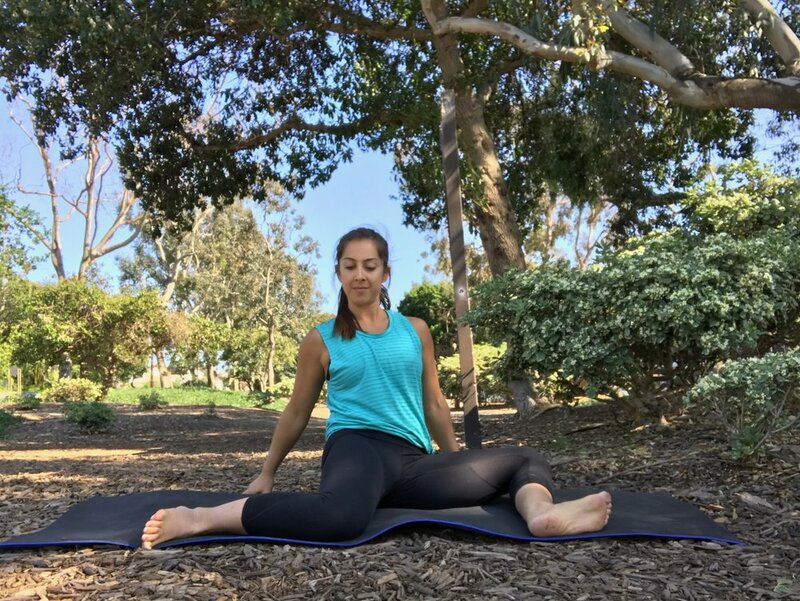 Hold for 2 minutes as you bring awareness to the top of your back thigh and open the hip flexors. 2. Bend the back knee. Draw your heel in towards your glutes. Hold and begin to ramp up neurological drive in the hamstrings and glutes. 3. Hold the contraction as you remove your hand. BEWARE: You will most likely feel cramping in the hamstrings! This is the nervous system reorganizing itself! It's a good thing and will fade as that tissue becomes more active. 4. Repeat step 3 twice more then try on the opposite side. 1. Set-up: Legs stacked, upper arm and legs parallel. Your arm should form a "V" position. Fingers come in towards the belly button. You can support your head with a pillow or block. 2. Keep your shoulder on the ground as you press down to your end range of motion. Hold for 2 minutes. 3. Increase neurological drive. Isometrically contract your body and press your forearm into your top hand as you simultaneously press the forearm down towards the ground. Gain 15-20 degrees more range of motion. 4. Remove your top hand while trying to maintain the new range of motion- pressing forearm to the ground. 1. Press the ball of your foot into stable device/wall and hold the passive stretch for 2 minutes at your end range of motion. 2. Build tension and ramp up neurological drive as you deepen the stretch. 3. Keep the new range of motion as you attempt to pull your toes away from the device/wall.